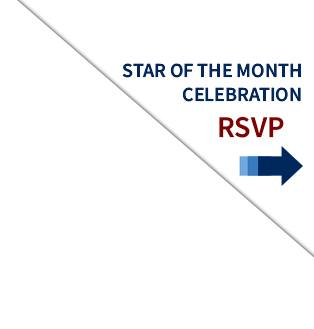 Note: Teachers, coaches or school administrators must fill out the nomination form for the Star of the Month program, please no students or parents. Ask students to provide a resume so you can copy and paste the information. While stats and facts are very helpful, anecdotes and comments or quotes are powerful too! Provide anecdotes about the student that demonstrate their positive qualities, ability to overcome obstacles, and examples of their leadership. Include quotes or comments from their teachers, coaches or community service coordinators. Please fill out the form completely (including phone numbers and email addresses or it will not go through! State: Select State Alaska Alabama Arkansas Arizona California Colorado Connecticut District of Columbia Delaware Florida Georgia Hawaii Iowa Idaho Illinois Indiana Kansas Kentucky Louisiana Massachusetts Maryland Maine Michigan Minnesota Missouri Mississippi Montana North Carolina North Dakota Nebraska New Hampshire New Jersey New Mexico Nevada New York Ohio Oklahoma Oregon Pennsylvania Rhode Island South Carolina South Dakota Tennessee Texas Utah Virginia Vermont Washington Wisconsin West Virginia Wyoming ! Person Nominating Student-Athlete Email: ! Person Nominating Student-Athlete Mailing Address: !